The Dublin Diamante Patent Dressage Riding Gloves are made with stylish synthetic leather and diamante detail. 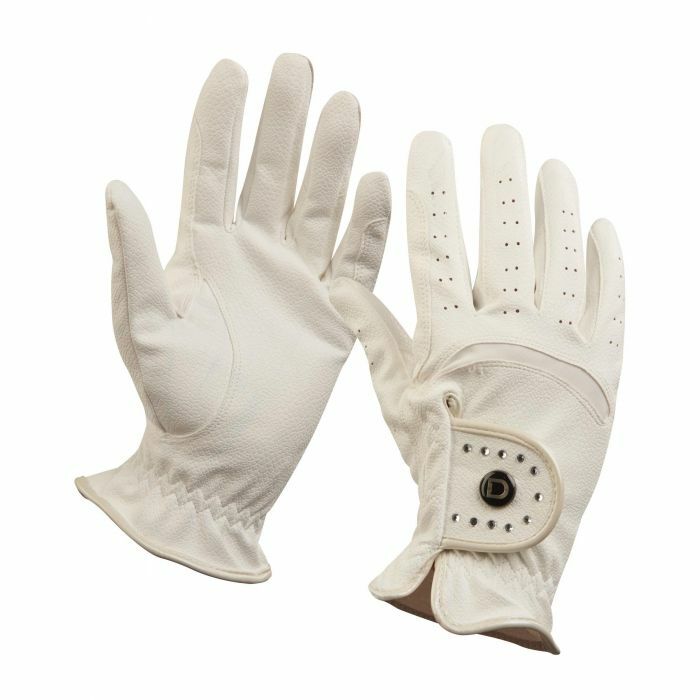 The gloves feature grip on palm for non-slip grip and reinforcements on fingers for single and double rein usage, they also have stretch fabric over knuckles for flexibility. 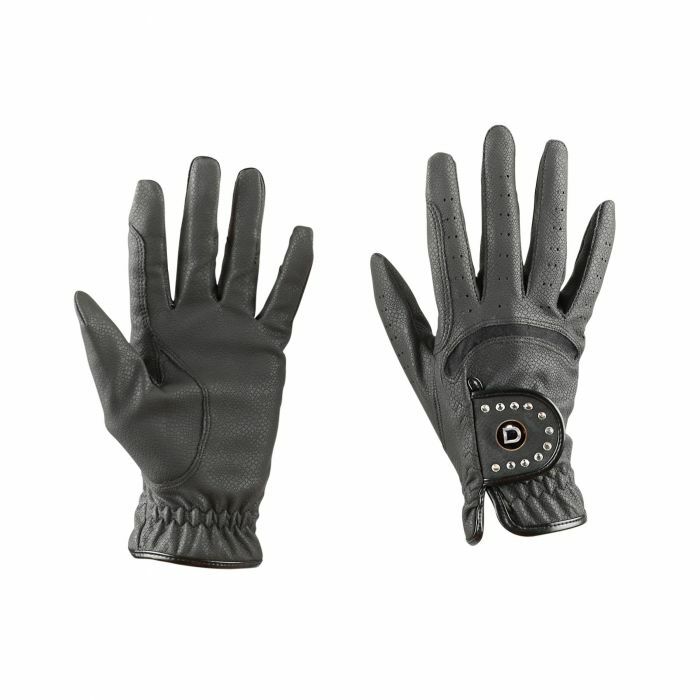 The perfect dressage glove. Synthetic leather and grip palm for non. Diamante detail on adjustable touch. Reinforcement for single and double. Stretch fabric over knuckles for. There are currently no questions for Dublin Diamante Patent Dressage Riding Gloves - be the first to ask one!